Some people think it’s a totally no go. Some people rock it all the time. Well, let me tell you, it was ALL over New York Fashion week, so it’s totally a popular trend at the moment, so I say…..give it a try! When I think about mixing patterns in my wardrobe, I try to pick a clothing piece with a pattern and then a smaller accessory to mix in the other pattern, such as shoes or a purse. 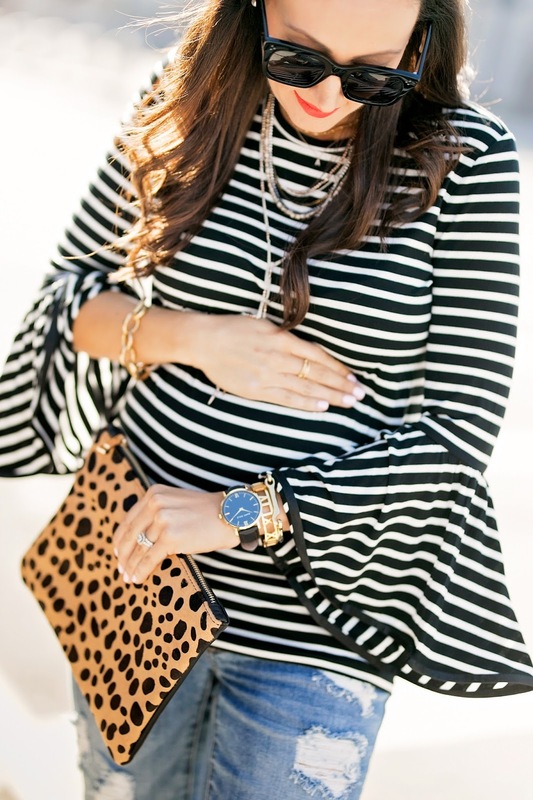 Two of my absolute favorite patterns to mix are nautical stripes and leopard print. I feel like they just go together SO well. Whether it’s a leopard clutch, a cute animal print scarf or an edgy patterned boot, a small pop of leopard print can really make any outfit fun! Can we talk about this top for a second?! 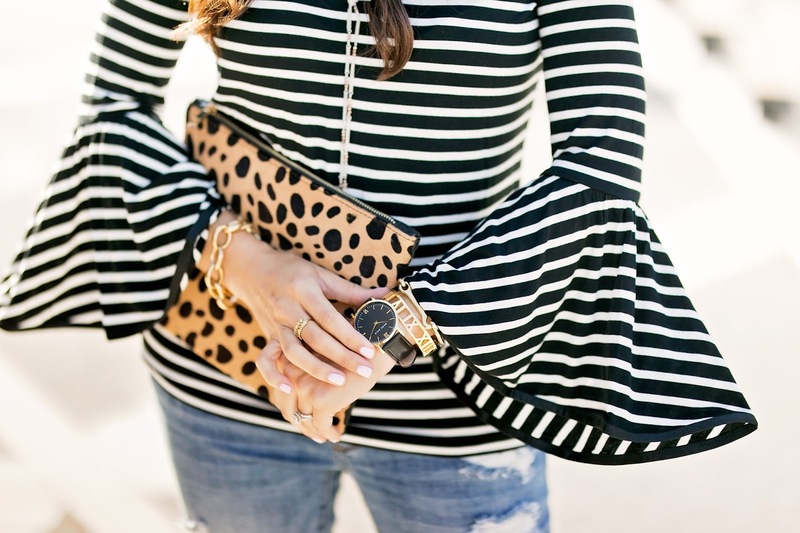 Stella & Dot came out with their new line of tops “MAETTE” last month and they did not disappoint! 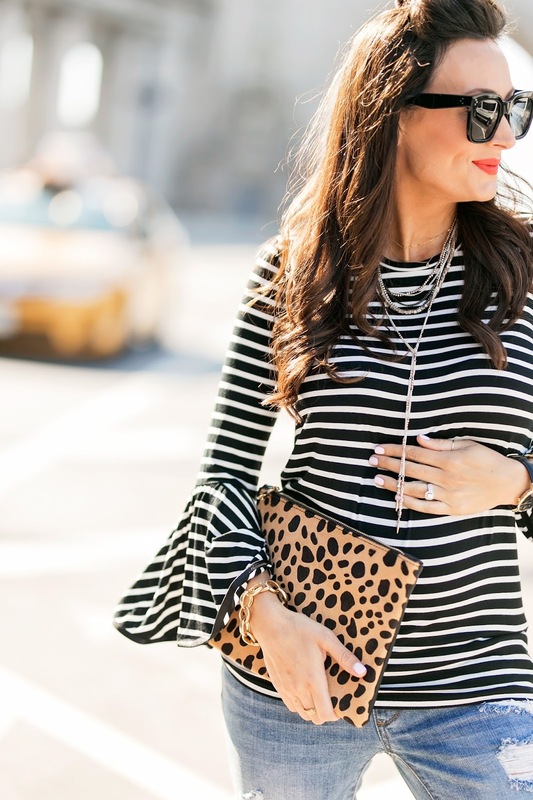 This striped one has THE cutest sleeves and is so flattering. The material is stretchy, comfortable and feels like you’re wearing pajamas! Some sizes are currently sold out, but sizes M-XL are still available. I’m wearing a medium in this shoot and it fits perfectly! 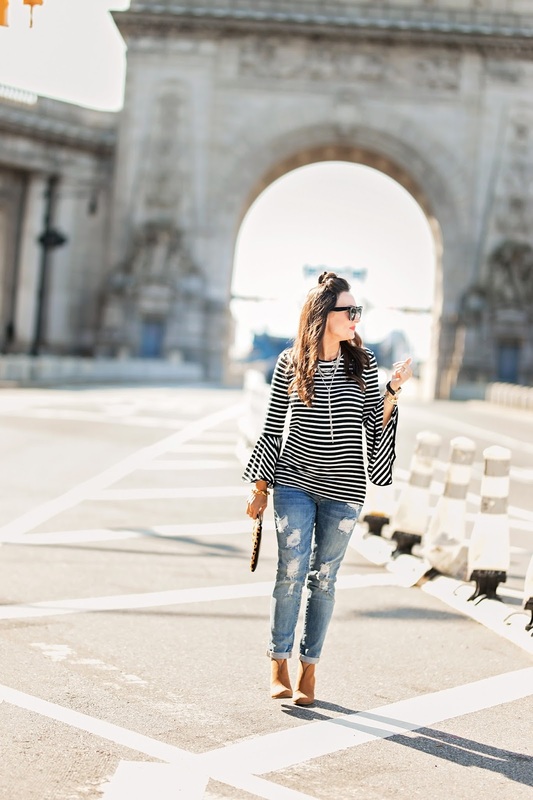 Hoping this post inspires you to do a little pattern mixing with some pieces in your wardrobe this fall. Remember, if you think it looks good, rock it. It’s the confidence that matters most!